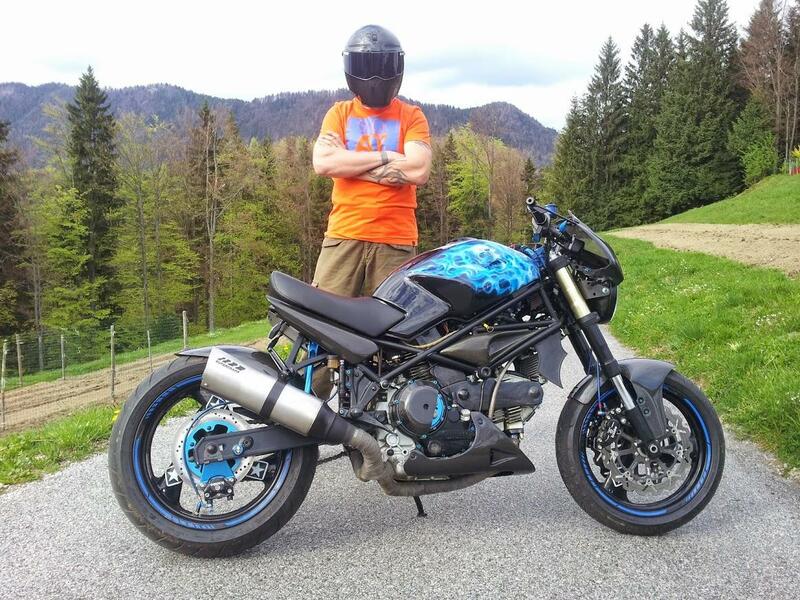 this time in our man&machine section we are presenting Tomaž Trpin from Bohinj, Slovenia and his ride – custom 1996 Ducati Monster Carbonara. A great custom machine you have there master Tomaž! who are you and what is your ride? send picture to 7sevencustoms@gmail.com! This entry was posted in Caferacer, Motorcycles and tagged Chops&bobs, Our streets by 77C. Bookmark the permalink.